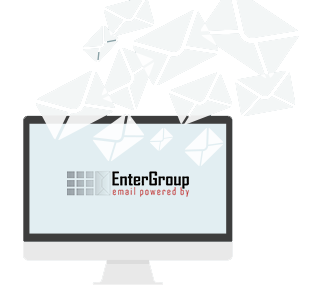 EnterGroup email is ‘Hands-Free’ – This means you do not need to purchase, maintain or upgrade any hardware and software. Hence, you eliminate additional IT staff, bandwidth fees, and all other costs involved in running your own system. 24/7 multilingual customer support and deployment of all new email hosting accounts in less than 12 hours. Fully featured administration panel for real-time provisioning of e-mail accounts, administration end editing of existing users including their storage, archiving, password, forwards, aliases and much more. Are you an enterprise with a global business model or a regional office in a non-English speaking country? You need EnterGroup’s tech support to suit your every customer. We provide you with a complete, professionally managed package at an affordable price which you otherwise would not be able to obtain from a self managed system, your ISP/hosting company or off the shelf software. Finding an email infrastructure as fit as ours is hard to come across anywhere!